Posted on Tuesday, December 11th, 2012 at 1:02 pm. Are you one of the ones who haven’t started yet? Or are you one of the ones who finished months ago? Well…despite my best efforts to get things together and get ahead of the game, I’m still not finished my holiday shopping 🙁 But the truth is, I’ve been working on holiday gift ideas for my favourite tea people for months – so check out our selections. 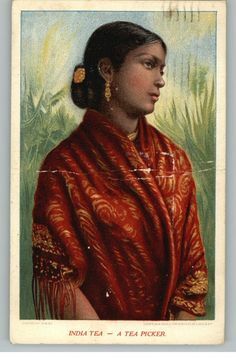 Click on our CATALOGUE to see more. I’m dying to tell you about my trip to the Distillery. Now understand that I lived in Germany for five years, so Christmas markets are sacred to me, I have been to the real thing. I was a little skeptical when I heard that the Distillery had put up one, as I’ve been to others in the city that have sadly been disappointing. Yes, I know, the Distillery Christmas Market isn’t new, but I put off going until this past weekend. If you haven’t been – get yourself over there quick. Anyone who hasn’t quite accepted the fact that the holidays are fully upon us, just needs a dose of the Market. Grab a cup of mulled wine and wander the stalls, listen to the carolers and send me some pictures! My buddy Oscar Wilde and I – Distillery Christmas Market. Yes…he’s wearing a sweater! Don’t judge him…it was cold!! Posted on Wednesday, August 1st, 2012 at 10:54 am. Merriment ensued after hours this past Sunday during the annual Tea Emporium Summer Party. On this year’s menu: a taco bar! Steamed wraps, pulled pork, breaded tofu cubes (for the one vegetarian in our midst), guacamole, salsa, and cheese. Served alongside these self-serve beauties is the white-bean salad with cucumber, red onions, tomatoes, and lots of fresh mint; this was a real hit – the salad was devoured and there were hardly any leftovers. Starters included a veggie platter, a minty-yougurty soup, warm olives with rosemary, succulent shrimp with Mexican spices. Thirst-quenchers: sangria and a basil-infused lemonade. The dessert was a real treat to the eyes (eye-candy) – a candy bar! Also on the dessert menu, a platter filled with mini Belgian waffles served with a delicious caramel sauce. Our revelry moved to the tunes of Metric and the Black Keys (both the preferred bands of the summer), and play-doh worlds were created by Anna and Tom’s adorable kids. All in all, an amazing past Sunday and a great way to cap off an extremely busy summer, with the brand refresh still on its way to completion. Posted on Wednesday, June 6th, 2012 at 2:25 pm. 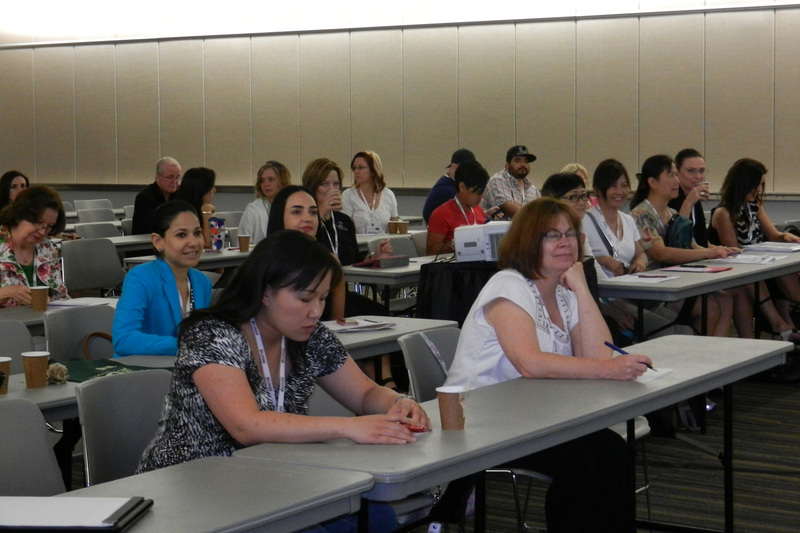 The Tea Emporium took part at the Las Vegas Convention Centre for the World Tea Expo just this past weekend, from June the 1st to the 3rd. 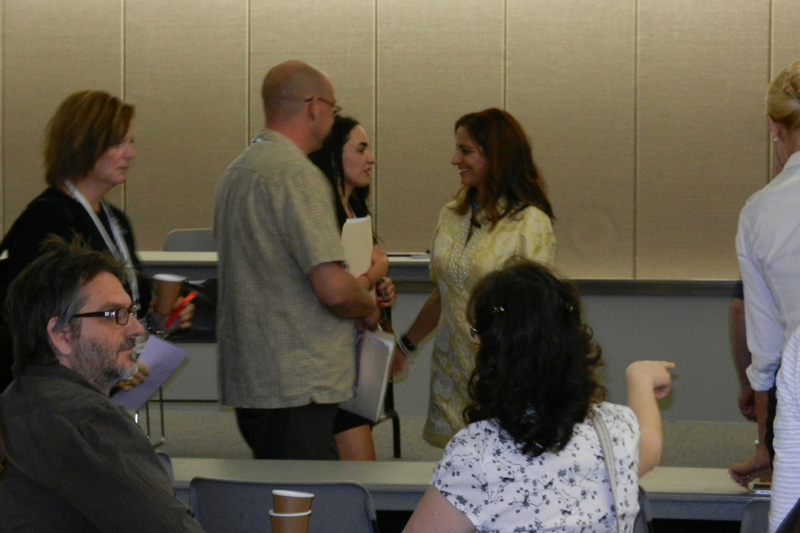 Here is a small smattering of the many photos that were taken during the three-day event. 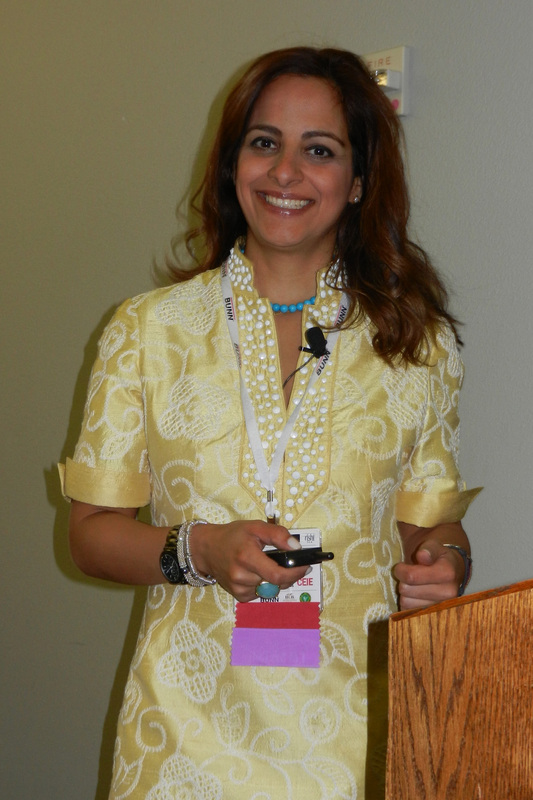 Shabnam Weber delivered a talk on the morning of the 1st. 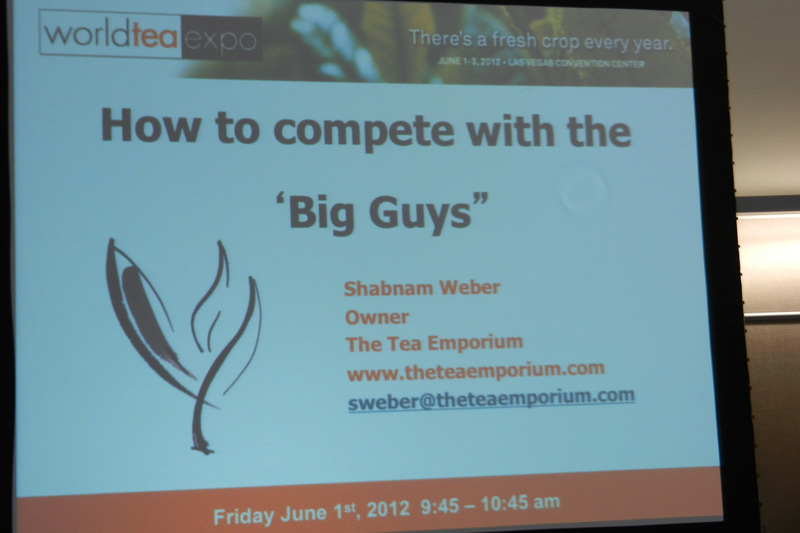 ‘How to Compete with the Big Guys‘ was the title of her presentation, and her aim was to give those who own small tea shops a leg up against some of the bigger tea companies who want to open a chain of stores in every corner, Starbucks-style. 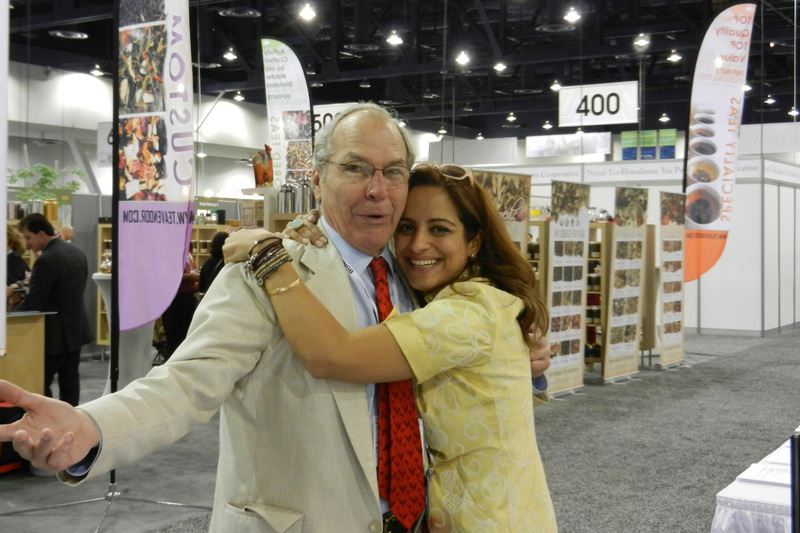 One of the highlights of her trip was meeting the legendary James Norwood Pratt of Tea Society Classics. His article, Love the Leaf (Why and How Coffee Shops Should Do Tea), is one of the many articles this widely-read author on tea has written. Julie Beals, editor-in-chief of Fresh Cup Magazine, writes of James, “After a short time with Norwood, one becomes imbued with the notion of tea as poetry, both being art forms that require reverence and reflection to fully appreciate.” A thorough reading of his many articles and literature on tea proves exactly this. 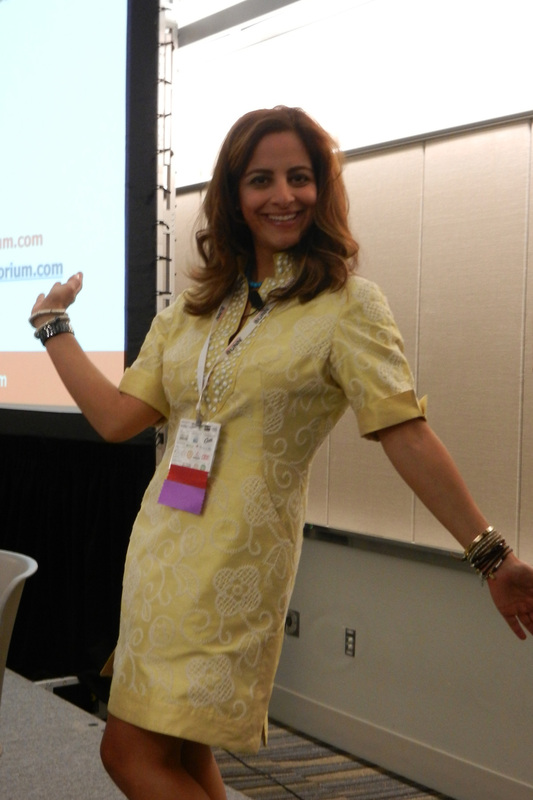 Laughs and smiles were shared, as evidenced by this very star-struck Shabnam, who describes her meeting James Norwood Pratt as something akin to meeting The Beatles. 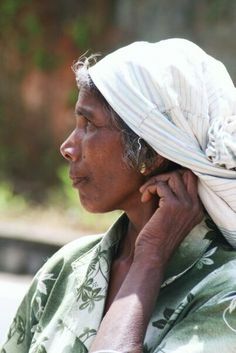 Posted on Tuesday, May 29th, 2012 at 11:06 am. Here’s a re-cap of our favourite moments on IG. Lately, our feed has been full of our favourite hot teas made iced, only because it really is that time of year — iced tea time! Don’t know how to make iced tea out of our loose leaf tea? No sweat! Here’s a post we did last year on how to make the perfect iced tea. And now, on to our visuals! 1) Sampling iced Rooibos Sweet Embrace at our Eglinton store. 2) Moroccan Mint iced tea for a busy (and hot!) day. 3) Iced Fields of Peaches. 4) Afternoon snack treat: Cream of Avalon with a splash of milk and a chocolate & fleur de sel cookie! The perfect combo. 5) Our Spring Blend won’t be here for much longer, as we make way for our Summer Blend. Here, I have it iced, of course! 6) Breakfast. 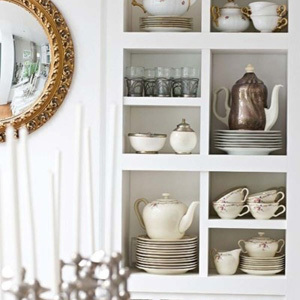 Imperial English Breakfast — with a splash of milk and a touch of honey. 7) Sampling iced Spring Blend at our Danforth location. 8) Iced Matcha Chiller – the perfect mid-day pick-me-up. 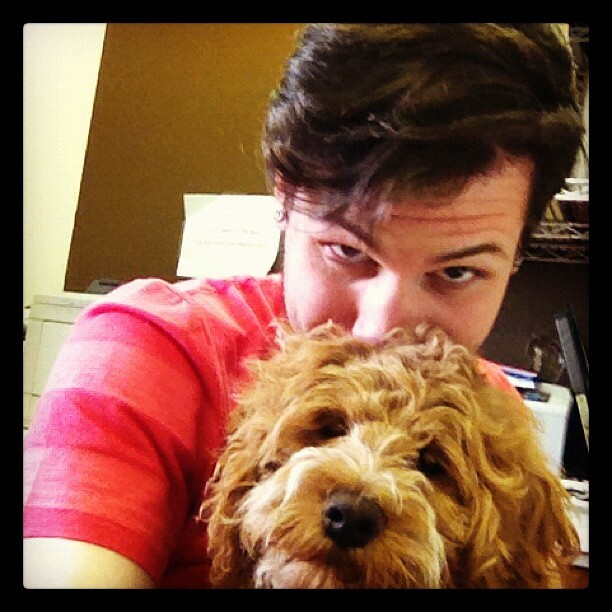 9) David and Oscar = the Tea Emporium’s new mascots? We’ll have get back to them on that. 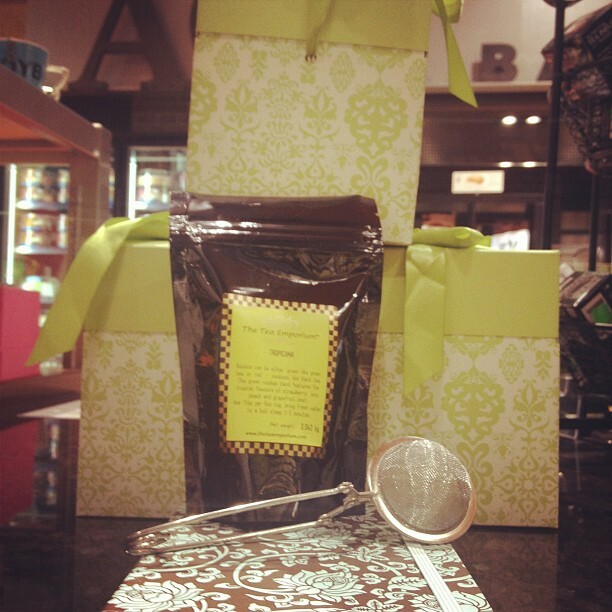 10) Tea and Journal gift set at our Maple Leaf Gardens location: $18.95 11) OMG! 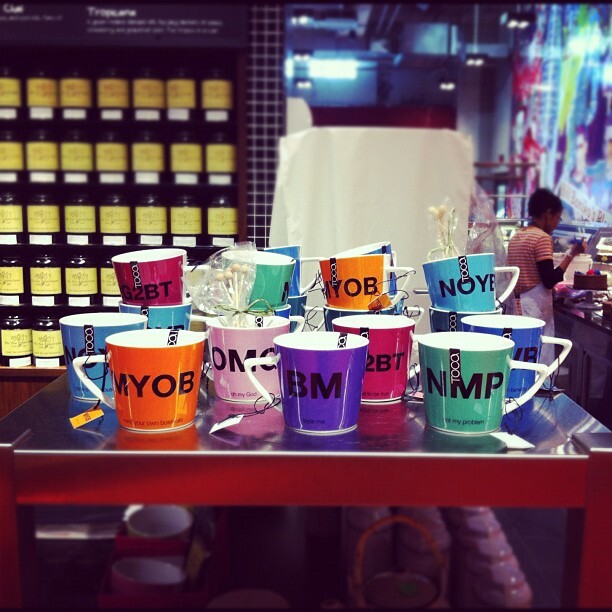 Our FYI mugs are back in stock! Posted on Wednesday, May 16th, 2012 at 9:54 am. 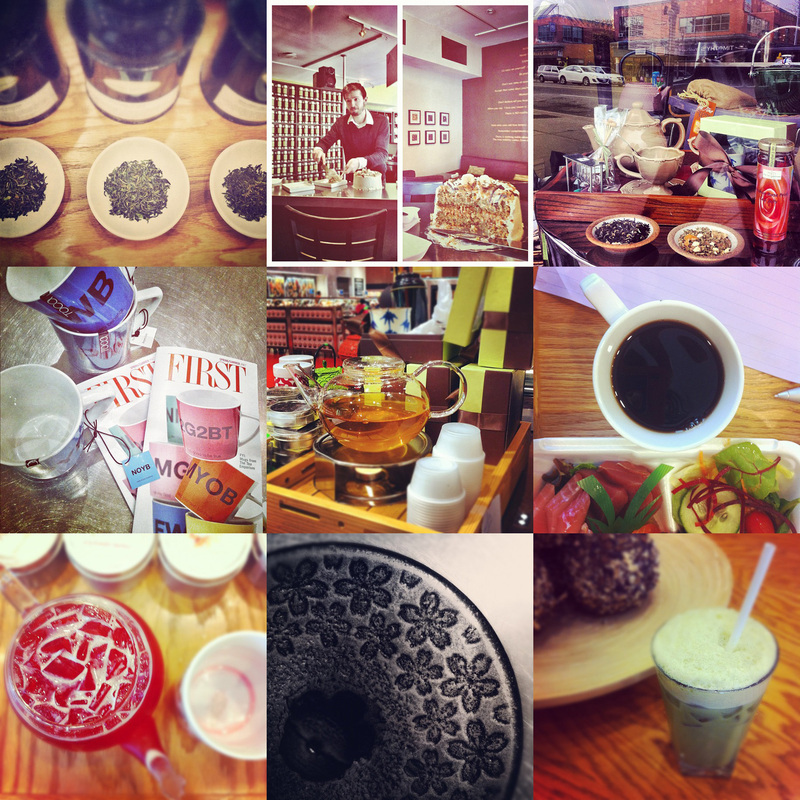 The Tea Emporium, in case all you lovely readers didn’t know, is now on Instagram! We have opened it up for our lovely [Android-and-iPhone-equipped] staff to capture any tea-related goings-on in all four of our locations. Below is a selection of our IG photos during the week. Feel free to tweet us with an instagram photo of your own when you do come into any of our stores! 1) Tasting our new Darjeelings for our blog review. For a list and description, go here. 2) Matt had a birthday, and we bought him a huge banana-caramel-pecan cake! Of course, we served it with our tea! 3) Merchandising window at the Danforth set up by one of our staff, Heather! 4) FYI mugs featured in the Spring/Summer shopping cataloque for First Canadian Place. 5) The Tea-of-the-Hour at our Maple Leaf Gardens location – A Lemon Darjeeling! YUM. 6) A cup of our Yellow Dragon Pu-ehr + a sushi lunch = feel-good eats and cold-buster! 7) Iced tea season is here! I had a small pot of our Pina Colada. Look at that colour! If that does not cheer anyone up, I don’t know what will! 8) Details of a Sakura cast-iron that was unpacked at FCP. 9) ‘Skipped lunch and want something quick, filling, and refreshing? An iced Ginger-Matcha latte should hold you for a wee bit until you get yourself a snack! Posted on Monday, May 7th, 2012 at 12:14 pm. As the warmer weather falls upon us, so too, have this season’s Darjeelings! This year, The Tea Emporium is offering three different Darjeeling teas from different tea estates. This year’s offerings are all first-flush darjeelings, which yield a more delicate flavour than its later counterparts, or other black teas, for that matter! 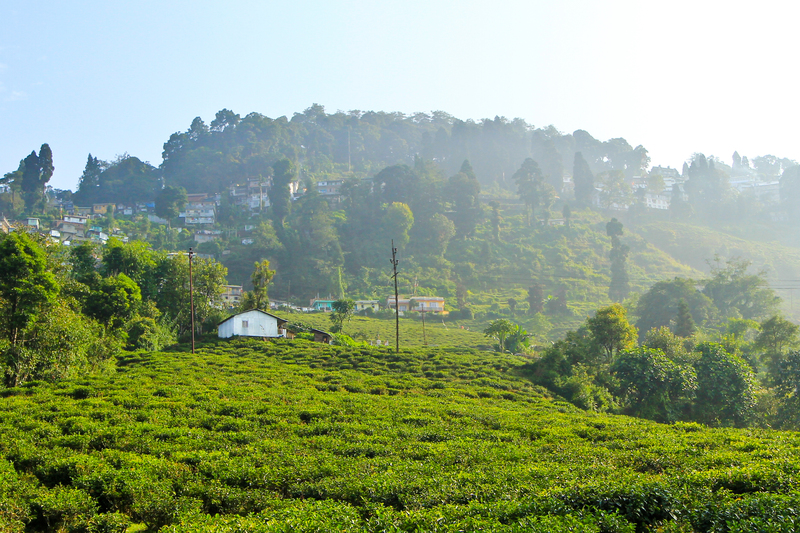 Often nicknamed ‘the champagne of teas’, once you try a Darjeeling, you will see why. Because a darjeeling is quite delicate for a black tea, it is important to brew the tea like a green or a white tea – with a slightly cooler temperature than boiling hot. Let your fresh, hot kettle water cool for about 5 to 7 minutes, or immerse some ice cubes into your hot water to get the optimal brewing temperature. For a slight twist on a classic on those sweltering hot afternoons, I like to serve Darjeelings iced, inside a chilled, fluted glass; unsweetened, of course. The experience is very much akin to sipping champagne. 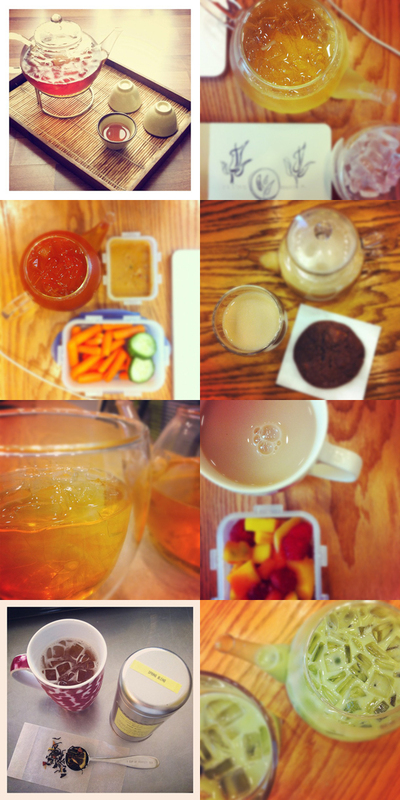 When making teas iced, double the amount of tea and brew accordingly. Posted on Friday, May 4th, 2012 at 12:14 pm. 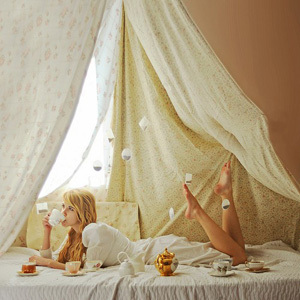 Tea has always been a very social beverage (though it can also be enjoyed in solitude), but never has tea been more social (in a social networking sense, anyway), until the past two years or so! Businesses of all sizes have embraced social media as part of their daily repertoire, especially over the last two years! And, we, as The Tea Emporium, are no different! You can now find us on a variety of different platforms now – Facebook, Twitter, Pinterest, and of course, right here, on WordPress! We have just increased the shareability of each of our posts, so if you see or read something you like here, you can share our posts by clicking on those familiar social media icons at the bottom of each entry! This blog is still undergoing some major changes, so make sure to drop by often! There may be a tea recipe or two posted sometime soon. 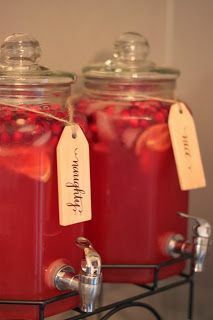 Cristmas Cranberry Lemonade Punch in a naughty (vodka added) and nice version. Recipe in the my dirty aprons blog. I already have the painted tin now I just need to make the dividiers and put the tea in it.